FC8T9 circline LED light bulbs in 3000K are the round bulbs that are used in many types of fixtures. Many round fixtures use these in kitchens, multi-housing or anywhere it's important to get a lot of light in the space without larger light fixtures. The lamp you need is determined by the diameter of the bulb itself. All you need to do to replace existing cricline fluorescent is to bypass the ballast and wire to power. - No ballast or external driver required. - 4 pin connection G10Q base. - Replaces 22 and 32 watt circline. Circline LED tubes are a circle of light with four prongs that make a connection to a socket that is usually in a wire harness. There are two different types of circline bulbs, the older style which is generally a T9 designation and the newer form which is T5. The T9 is a little over one inch in diameter, and the T5 is of an inch in diameter. These are easy to identify based on this tube diameter as well as the wattage. Light fixture types and energy savings. With the advent of today’s LED, some of that’s changed, and people are looking for more efficient ways to light with this kind of fixture. And speaking of LED, there are many ways to upgrade your existing circline light fixtures with a simple retrofit that will make it more energy-efficient. For those of you who want to save the most money possible, there’s never been a better time to take a look at doing an upgrade. For simple drum light or mushroom light fixtures, sometimes it’s just as inexpensive to change the whole fixture out rather than doing some lighting retrofit. If you’re curious about which way is best to go, make sure you download our free energy-saving calculation spreadsheet that’s on the left-hand column of our website. It will tell you how much you can save based on your current lighting system to one of the new types of lights you buy from us. All you have to do is put in some relevant data of what you have now, the kilowatt cost and the hours you use it. And you can compare it to anything you see on our website. It will tell you how long it will take to pay back your investment through energy savings. It will also give you a simple look at your energy consumption right now when it comes to lighting. Color designations for circline lamps. Color temperature is measured by a couple of different ways when it comes to this type of light bulb. The older method was with the colors lights like warm white, cool white or daylight. That usually was the identification for something that was a T9 style of light bulb. The bulb is the one that operates on a magnetic ballast, and many people liked the colors they were getting from that. Over a decade ago, the introduction of T5 circline introduced a new set of color temperature identification. You would see everything from 2700K, 3000K, 3500K, 4100K, 5000K and even 6500K for almost any of the lamps that were available. We still sell these, and it’s much easier to identify what you have although they can vary slightly from one brand to another. Some of the connections are a little bit different from the Philips brand to the Sylvania brand. So often it’s critical to get the right brand and manufacturer of that type of T5 bulb. If you’re looking for a significant quantity of these LED circline to purchase, we can give you special pricing in case quantities or better. We always want to make sure that we're providing the best possible light bulb at a great price. So make sure to email or call us with what you’re looking for and we can get you special bulk pricing for that. 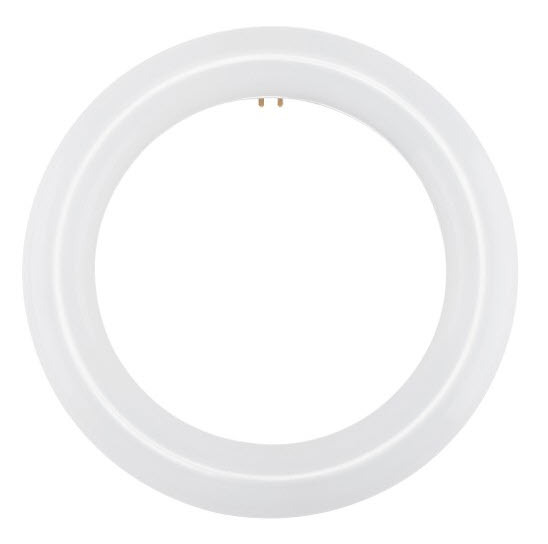 Keep in mind that we also have a full selection of light fixtures that use this type of circline bulb for those of you who still want to have this type of lighting. And for those of you who are looking to make an upgrade to something more energy-efficient, we have plenty of those too, and most of them are made right here in the USA. We are here for you replacement lighting needs with bulbs that are going to last at a price that will be pleasing to you as well.